I need a Certificate of Recognition. How do I request one? 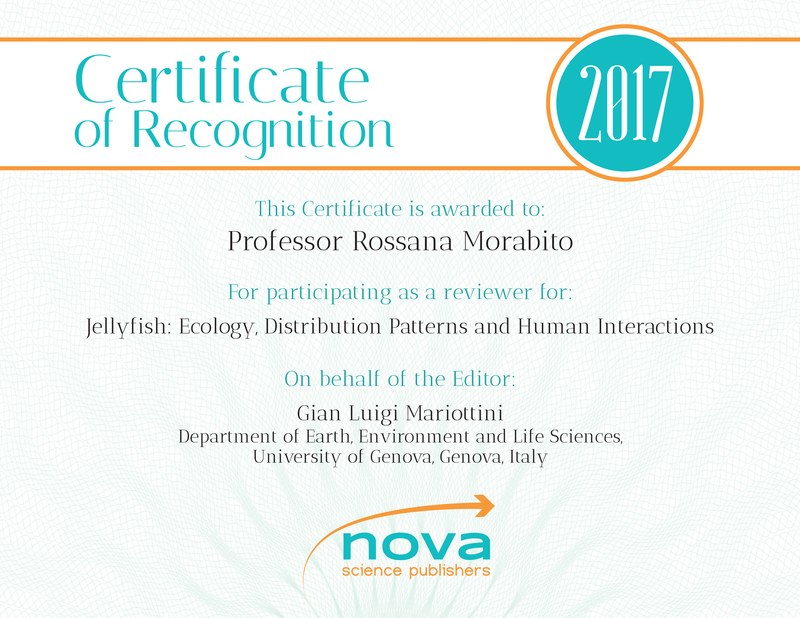 Please email us at nova.main@novapublishers.com and write Certificate of Recognition in the subject line. By what means will my book be searchable? Where are your eBooks available? All Nova e-books and e-journals are available at ProQuest, EBSCO, Elsevier, CNPIEC, CEPIEC, Kortext, Bowker, Gardners and EdTech. Barnes&Noble and Ingram arrangements are underway. Yes. Our eBooks are secured with text or image watermarks. Some of our eBooks require the customer to input a password that we provide. This is to protect the eBook from being copied and/or illegally distributed. Do you offer subject collections? We do offer subject collections. We provide a 30% discount on any collection you would like to purchase. Please contact Alexandra Columbus at a.columbus@novapublishers.com. Please state which subjects you are interested in purchasing (we offer Pick & Choose - books can be purchased in digital or print format or a combination of both). Thank you. ONIX is a data format written in XML and used to transmit information about books and related digital products between publishers, distributors, wholesalers and retailers. We provide ONIX feeds to our agents and distributors on a weekly and monthly basis. For more information or if you are interested in receiving on ONIX feed of our titles, please email Louis Maurici at journals@novapublishers.com. Can I purchase a chapter from a book? Almost all chapters published by NOVA can be purchased at a flat rate of $50.00. If you are interested in purchasing a chapter, please contact billing.central@novapublishers.com. Please indicate the name of the chapter AND book. We are currently working on making chapters purchasable on the website. Please check back for updates. Is there any fee to publish? There is no fee to publish with us. However, if your manuscript has color figures and/or the manuscript requires English editing, you might be subject to a fee. Can I self-archive my work? Authors of articles published by Nova are permitted to self-archive the submitted (preprint) version of the article at any time, and may self-archive the accepted version 6-12 months after publication. You can pay with MasterCard, Visa, American Express, Discover or JCB through Stripe or PayPal. If you prefer to pay by bank transfer or check, please contact Vera Popovic at billing.central@novapublishers.com. After entering your payment details, the order will be created and an invoice will be automatically sent to the email we have on file.